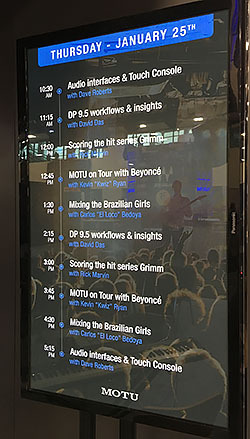 Here are several highlights of the presentations at the MOTU booth this year. Kevin "Kwiz" Ryan has been Beyoncé's tour programmer and tour recording engineer since 2006. Kwiz shares the story of how he first landed the Beyoncé gig and the many things he's learned from his long tenure as the tour's programmer. Roger Neill is a veteran film and television composer, and a lifelong Digital Performer user. He is well known for his 13 seasons scoring the Fox animated series “King of the Hill.” In this presentation, Roger discusses his workflow process for Amazon's new hit series “Mozart In The Jungle” and the film “20th Century Women" (2016, Annapurna Pictures) starring Annette Bening, Elle Fanning, Greta Gerwig, Lucas Jade Zumann and Billy Crudup. Matt LaPoint is a MOTU product specialist based in Los Angeles. 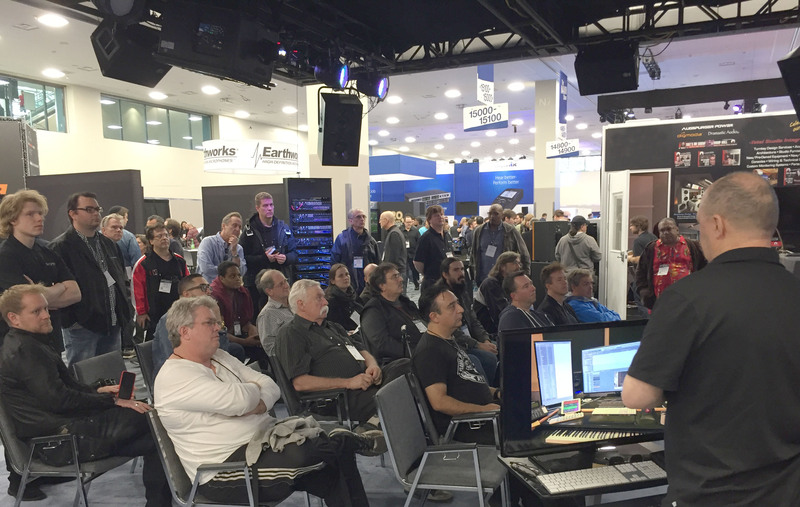 Matt is also a talented composer and mix engineer, and he shares tips, tricks and techniques from several film-related mixing projects. Joey Newman (ASCAP) is an Emmy®-nominated, third generation film and television composer of the famed Hollywood musical Newman dynasty. 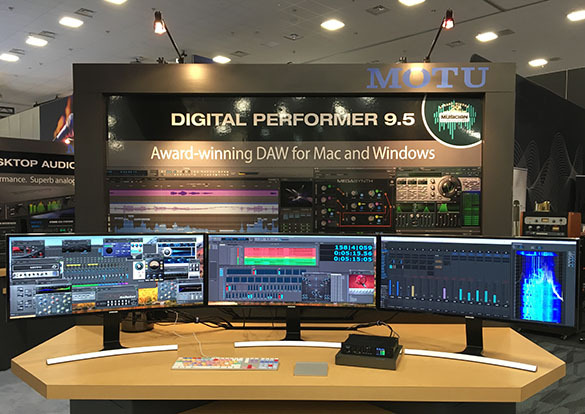 With his friend and co-composer, Matt Hutchinson, Joey discusses workflow efficiency while collaborating remotely with Matt on a recent film score using DP9. 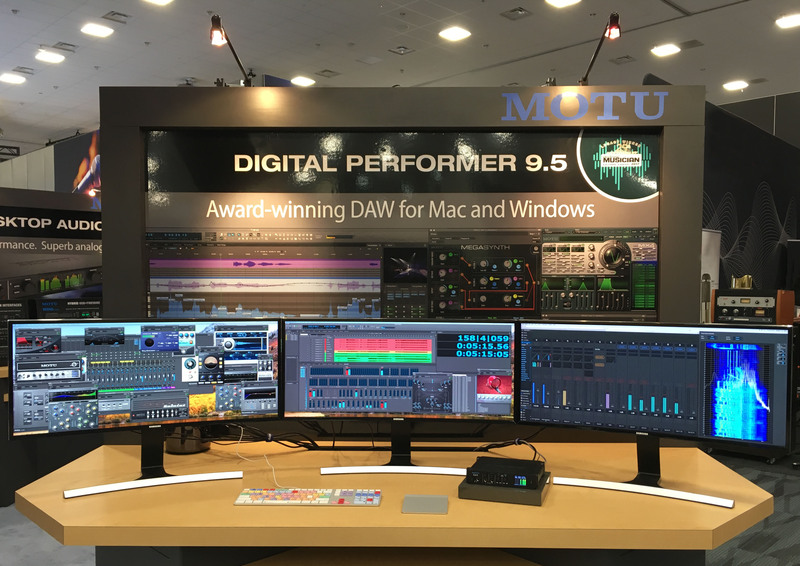 Digital Performer has won eight Electronic Musician Editors' Choice awards, the latest in 2017 for DP9. 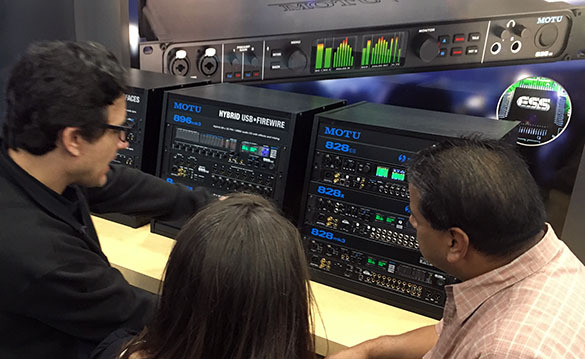 Show attendees learn about the new 828es audio interface from MOTU's Matt LaPoint (left). 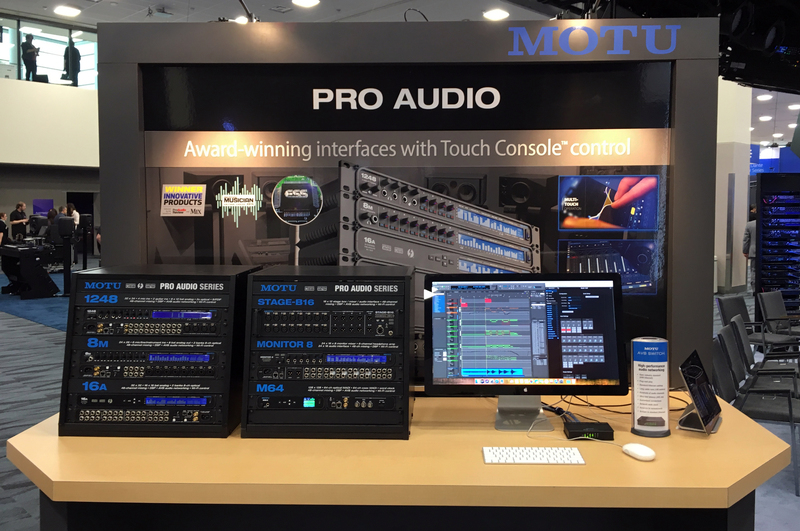 MOTU's growing lineup of pro audio interfaces on display at the MOTU booth. Film/TV composer Richard Marvin (right) demonstrates how he scores an episode for NBC's hit TV series 'Grimm'. 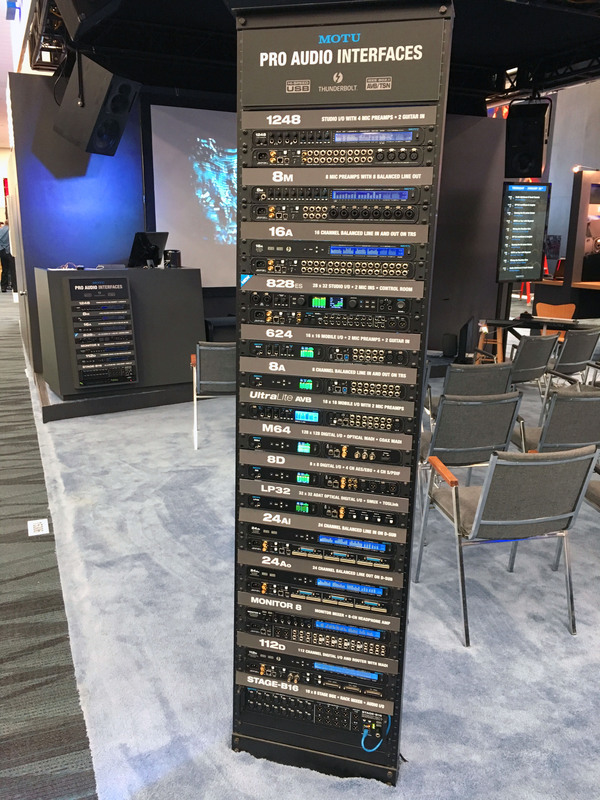 Attendees got a hands-on sneak preview of the new Touch Console™ web app for wireless mixing from tablets and smartphones.